We are almost done with our 12 weekly workouts! Don’t despair…we have another series of inspirational assignments waiting in the wings for the warm weather weeks ahead. For this week’s workout – since everyone has done such great work to this point – we think you deserve a treat! 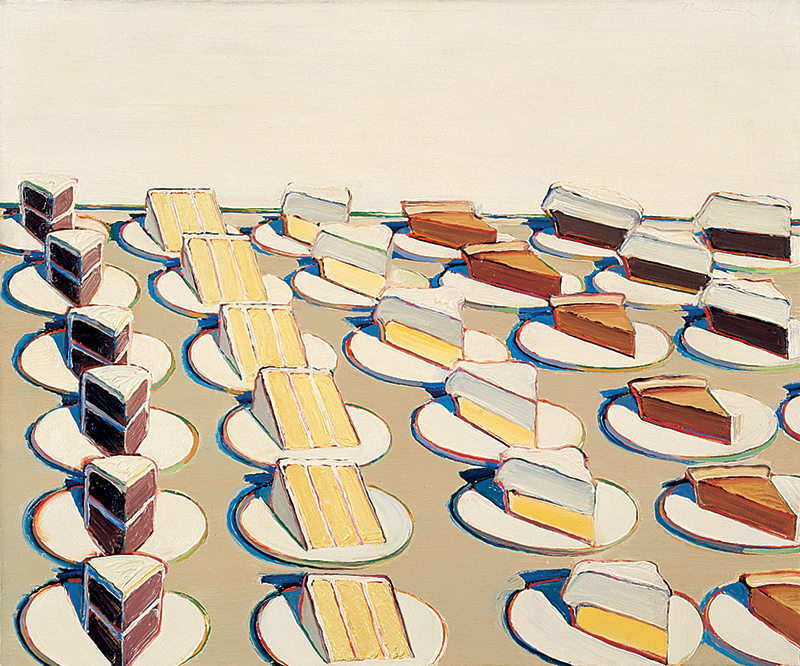 Get inspired by Wayne Thiebaud’s delicious brushwork and creamy palette in his drool worthy paintings. Yum! 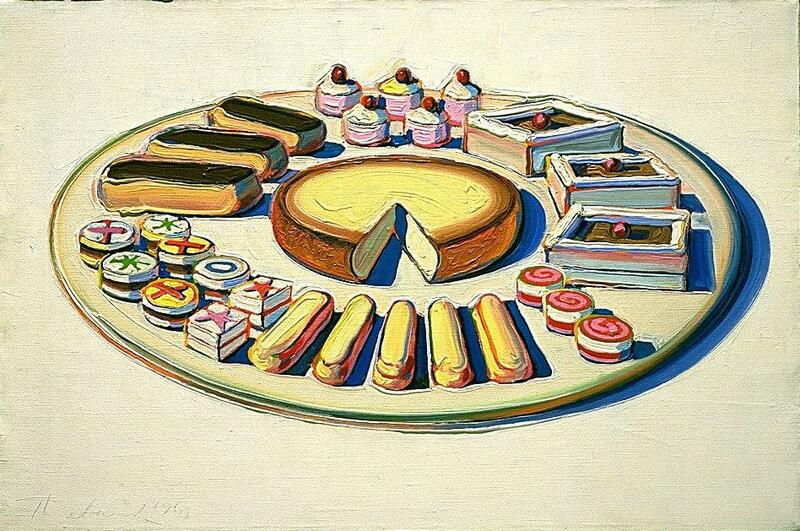 Here is your chance to buy that delectable dessert at your local patisserie and paint it using gouache (if you can wait to eat it!). Gouache has lovely blending abilities and covering capabilities and has long been used in the graphic and illustration industry. It has an ease of use similar to watercolor, but the opacity of an acrylic. Play with it and see why it is a favorite sketching medium. This week at Wet Paint, you can choose from the distinctive color palette of Holbein’s Acryla Gouache for 35% off MSRP or the luscious custom Schmincke Horadam Gouache set for only $64 (MSRP retail $119)! We recommend using a synthetic brush, like the Escoda Tame series which is soft, yet snappy, and 40% off MSRP this week only! Bon appetite, sweeties! Categories: Wet Paint Weekly Workouts | Tags: art supplies, Escoda Tame, gouache, Holbein Acryla Gouache, Schmincke Horadam Gouache Set, Wayne Thiebaud, Wet Paint St. Paul | Permalink.